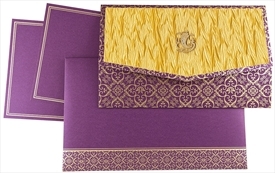 The main card has golden floral motifs all over the front as well as the envelope has a similar border at the bottom. 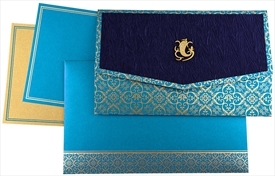 On the front, over the contrasted crushed fabric, beautiful laser cut gold Ganesh motif is pasted up. 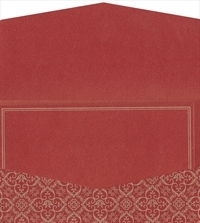 Inserts also have simple borders in contrast. 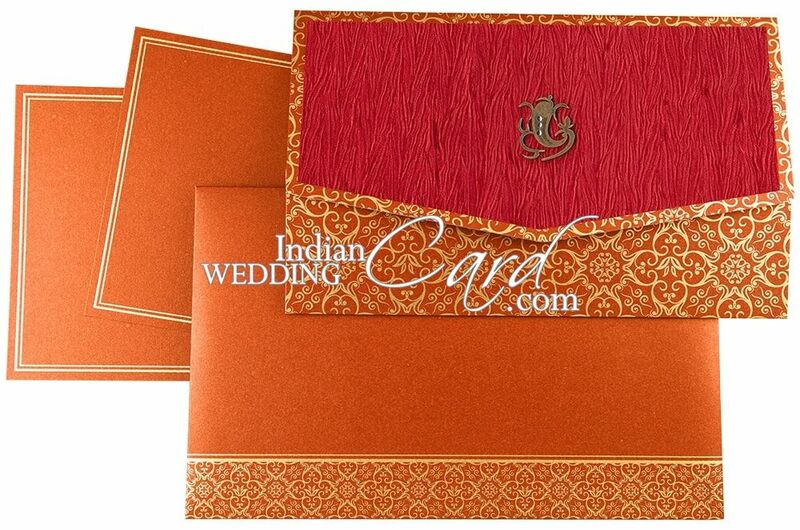 This wedding card sets up an ideal example of beauty with culture. 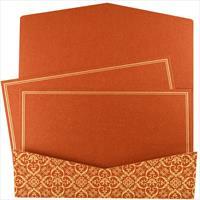 Orange shimmer paper (250gsm) for main card, envelope and 2 inserts. Red Crushed fabric pasteup on top.